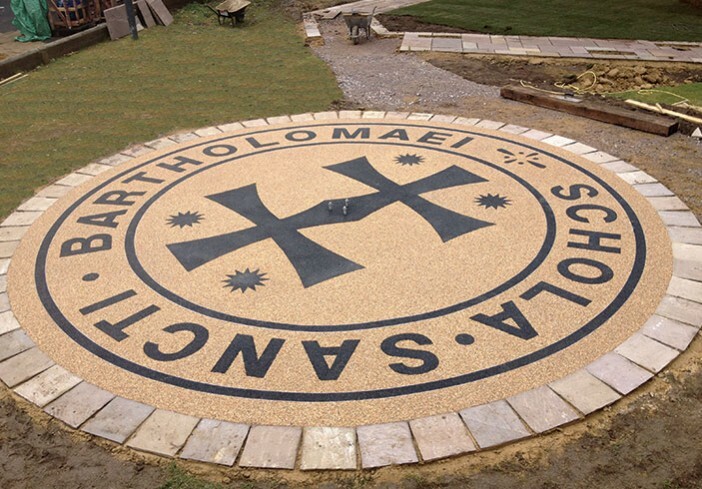 Tasked with the job of creating a peaceful garden haven for quiet reflection incorporating St Bartholomew’s Latin motto and emblem in a resin-bound permeable paving circle, landscapers Ian Toop and Stephen Knight of I & S Gardens turned to Clearstone. 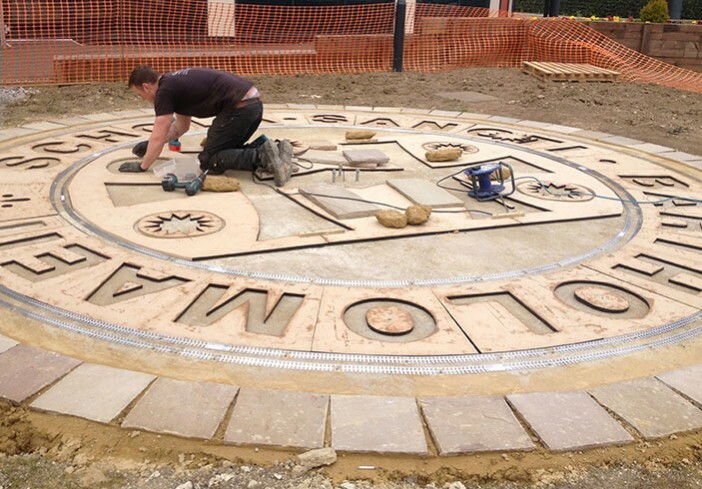 “We had never used resin bound paving before in our garden design work,” says Stephen. But the intricate pattern and lettering called for a flexible, stable material and a company with the design and technical skills to see this challenging project through. 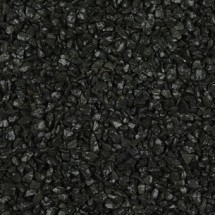 Clearstone’s range of coloured shingle, granite and quartz and the capability of resin bound surfacing to reproduce curved and linear patterns with no joins made Clearstone’s product the perfect solution. 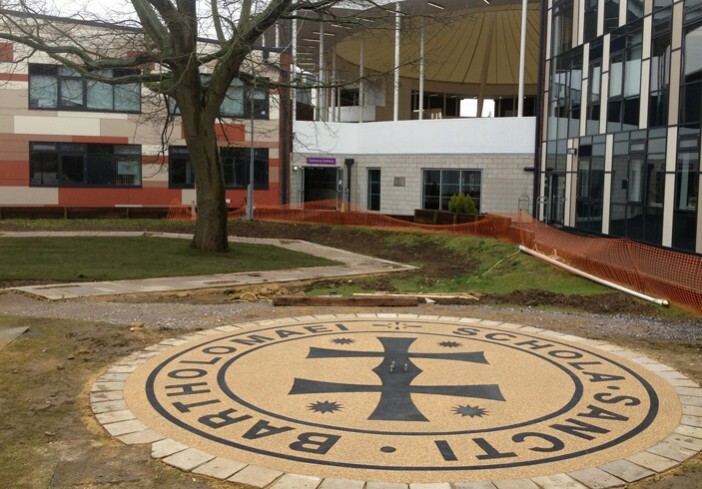 Ian and Stephen were very much aware that the circular paving feature was to be a reflection of the school’s proud traditions. 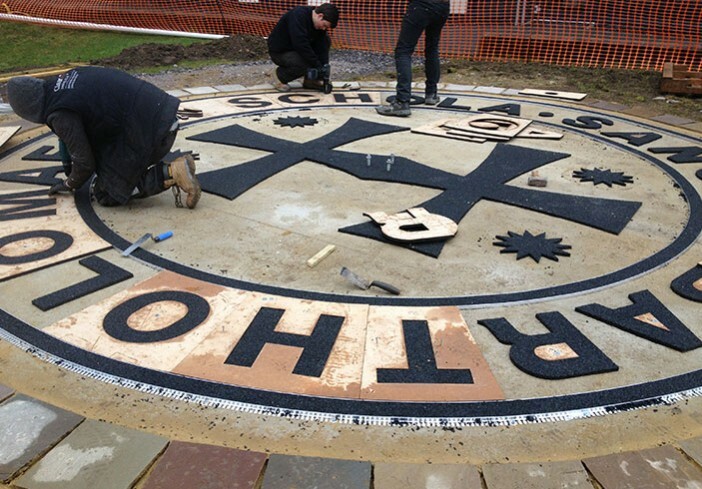 Incorporating a flagpole in the design, the area would be used for laying wreaths and holding remembrance ceremonies commemorating years of achievement, dedication and care from present and former staff and students. “St Bartholomew’s School is delighted with the landscaping of the new Heritage Garden. 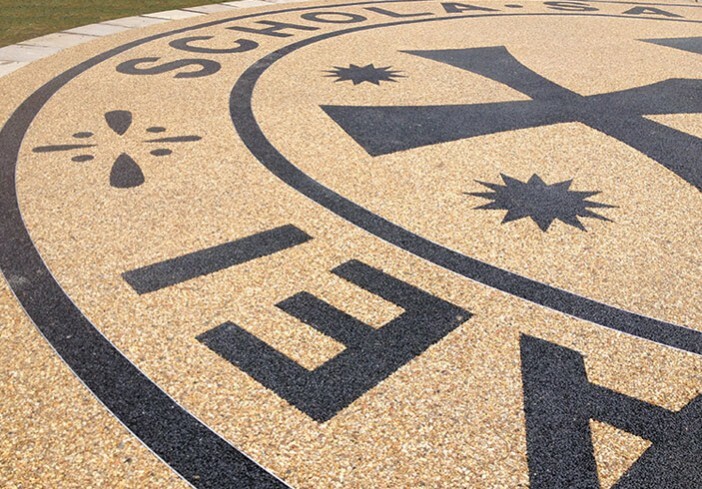 The inlaid stone, which depicts the school’s logo, complements the garden and enhances the design which reflects the school’s history,” says Jude Bowers from St Bartholomew’s. 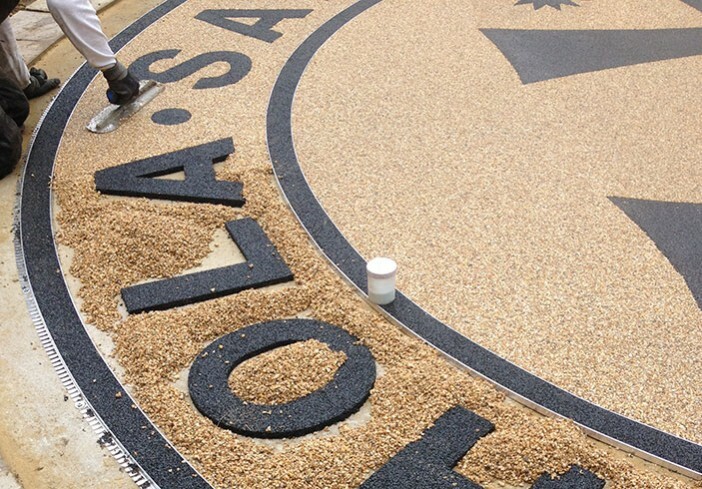 Since Clearstone’s resin bound surfaces are resistant to spills, invasive plants and colours do not fade, they will retain their beauty for years to come. “What strikes me is that this place will be a haven – for ever: a quiet area for teachers, pupils and parents to reflect. It’s an amazing spot,” says Stephen. Clearstone working for: I & S Gardens and St Bartholomew’s school board. 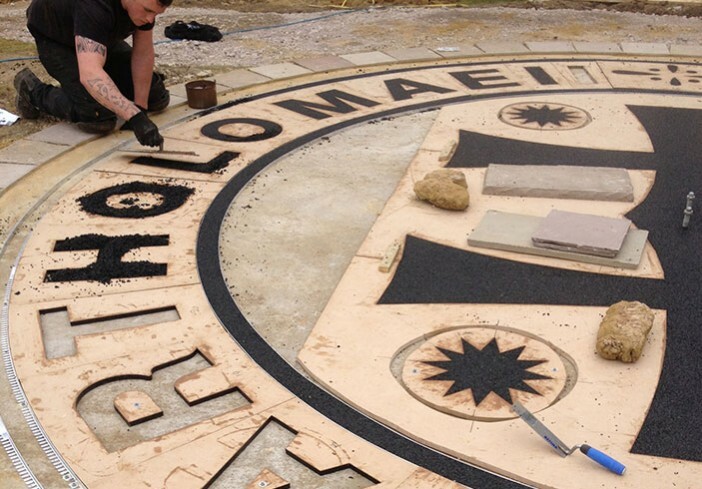 Project: School Latin motto for school heritage garden. Design Service: Design and production of intricate stencil pattern for laser cut forma. 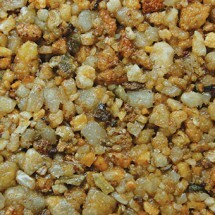 Area: Installed area 5m2, circular pad of resin bound, laid at a thickness of 18mm.